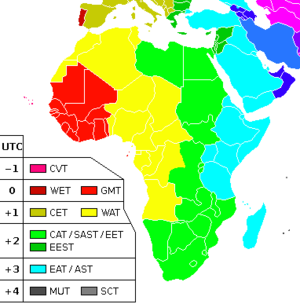 Cape Verde Time (CVT) is a time zone used by the Atlantic island nation of Cape Verde. The zone is one hour behind UTC (UTC-01:00). Daylight saving time is not observed in this time zone. This Cape Verdean location article is a stub. You can help Wikipedia by expanding it.